Snowman Standing Wearing A Scarf And Hat Holding A Peppermint In His Hand! 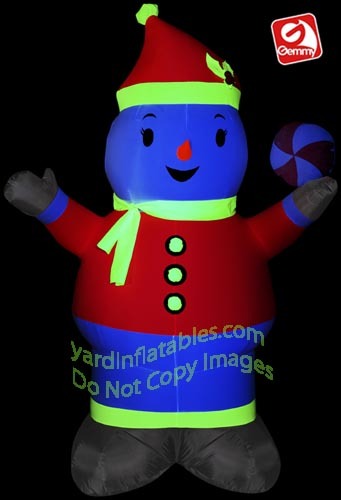 Have a bright and beautiful Christmas with this neon snowman inflatable! Neon Airblown® inflatables give your outdoor decor maximum impact with minimal effort. There are no internal lights inside Neon Airblown Inflatables. 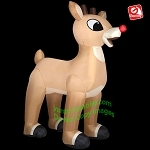 They come with a spot light fixture with an LED Black Light that shines on the inflatable to make it glow. LOOKS GREAT DAY OR NIGHT!